These pages contain photographs of my trips to the Algarve. I've supplemented them with various bits of information and links to round it off. The trips have been pretty regular over the last few years. This is mainly due to a bunch of lads from my old 'local' having taken to regularly golfing on the Algarve. I've yet to play the game, as I prefer to take the photographs, maybe one day... However, whether you play golf or not, then you must visit the Algarve, as its not only the golf courses you'll find really superb. The lads normally do a round at three different courses, i.e., every other day during a weeks holiday. This seems to be ample especially if the weather is hot, as it usually is in early May or early October, when we normally go. We are normally based in Alvor (an hour out of Faro), where we either splash out on a villa, or use a resort complex of apartments (it depends on the finances). You could quite happily spend your first holiday just exploring the village, without needing a hire car. During our 04/2004 trip I took to the skies in a small plane hired from the local airport (Alvor). It's not too expensive, €120 between three of us (or two if you want to be comfortable). That's for approx 30-40 minutes of outstanding scenery either covering most of the coast, or just inland as the mountains are equally spectacular. The pilot will 'buzz' colleagues playing golf if asked! Make sure you have a good camera (preferably with a zoom lens) and plenty of film / memory cards. Any of the travel agents located in Alvor can book a flight with 24hrs notice. Give it a try if you can, I guarantee you won't be disappointed. 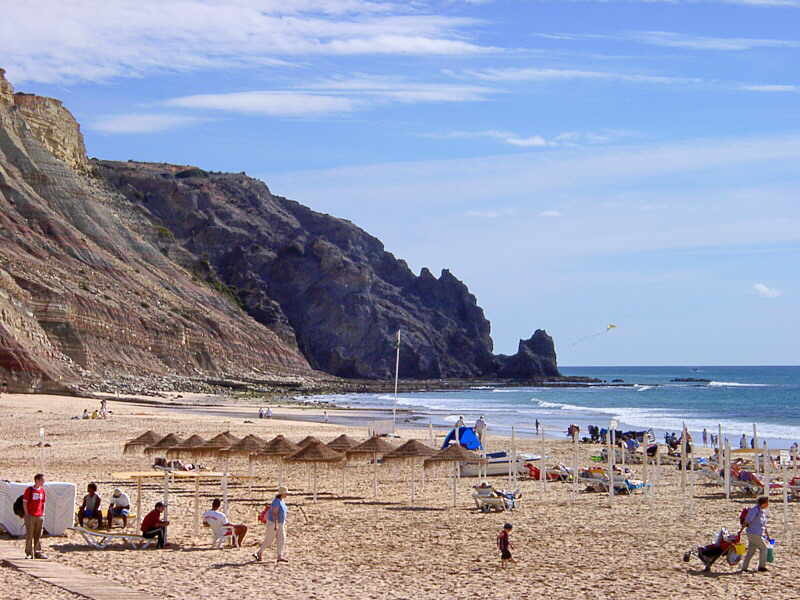 Since my friends have bought a place in Portugal, some of the later 'no golf' trips (basically any trip that is not in April) have been based in Praia da Luz, about fifteen minutes further down the coast to the west. A lovely, and much quieter town than Alvor. Development has been limited in the town mainly by the land available so it will never become another Albufeira. You will also find I've tried to put together a collection of useful topics and links to other sites that will help you plan / be better informed for your trip and hopefully generally enhance this section of my travel web. More suggestions welcome. Further / continuous development (during 2006) to the information side of this section has produced an off shoot in the form of a miniweb 'Mostly Luz', which whilst it is centered on the town of Praia da Luz does cover a lot more of the Algarve. Check it out as it is it will have the most updated information for the Algarve. 04/2008 The 'Mini web' has become its own site see here Luz-Info.com. Google Map of Alvor and Luz locations. 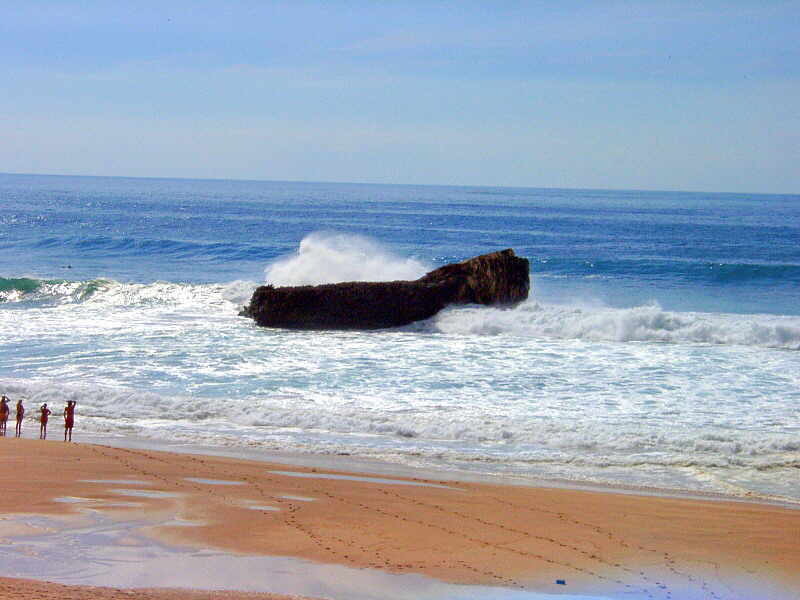 06/2005 Friends have a house available for rent in Praia da Luz. Check out the web site I've built for them. 05/2009 The Annual Golf Tour. 10 days in Alvor. 08/2008 Summer break. 10 days in Luz. 04/2008 The Annual Golf Tour. Small group, big fun ( as usual ). 03/2008 Luz-Info.com. My Luz section expands and moves to its own site. 01/2008 New Year in Luz. 11/2007 A week away in Luz. 06/2007 A two week Family Trip to Luz ( Classified :). 04/2007 The Annual Golf Trip to Alvor, Done and dusted. Another good tour. 11/2006 End of season trip, Just a tidy up of friends house at Luz (3 days). 10/2006 A simple Google Map of Alvor and Luz locations, see above for link. 09/2006 Yet another trip, sheer extravagance! No golf just a proper holiday in Luz (14 days). Took advantage of the extra time to explore a bit more. Surprisingly not too many photographs this time. 08/2006 A bit of a re-arrangement to the information page. 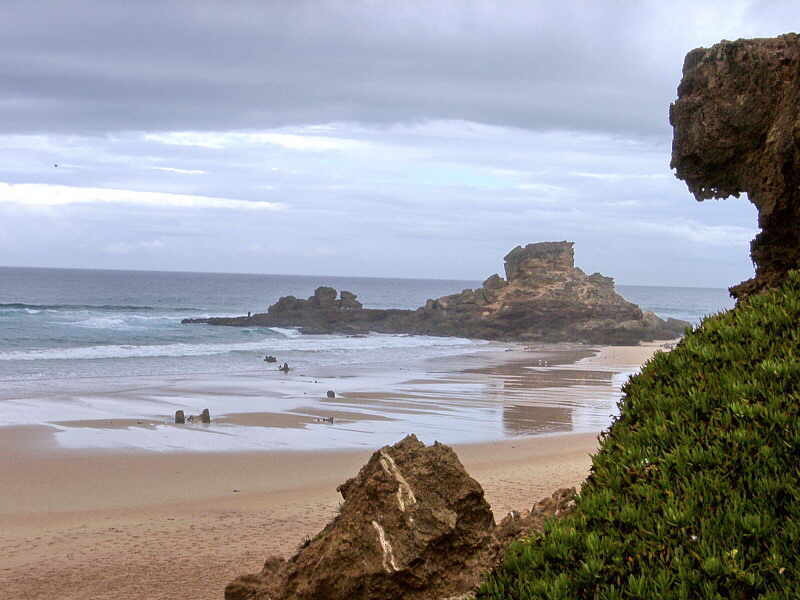 I've moved a lot of general Algarve Information and Resources to my newly expanded section Mostly Luz. 05/2006 Tampering with the menu system again, better I hope? 04/2006 Just added this years Golf trip, (9 days). 03/2006 Changed the viewing method of the enlargements from the thumbnails. This should allow me to publish higher resolution photographs in their original sizes whilst making sure they will fit to the viewers available browser window size. 01/2006 "Just Luz" - Praia da Luz Information & Resource Pages added , my workshop for www.Luzholiday.com (friends accommodation in the Algarve) has expanded to a section of its own. Apart from the extensive research involved it also gives me an opportunity to develop the usability / interface of my web pages. 10/2005 Yet another trip this year (10 days). No golf involved this time. A visit to Praia da Luz and the lads had a couple of evenings in Alvor.... The extra time made all the difference, allowing trips further a field. Click here for the complete page. 07/2005 As you may have noticed, if you've visited here before, I've done a 're-vamp' on this Portugal section. Hope you think its an improvement. 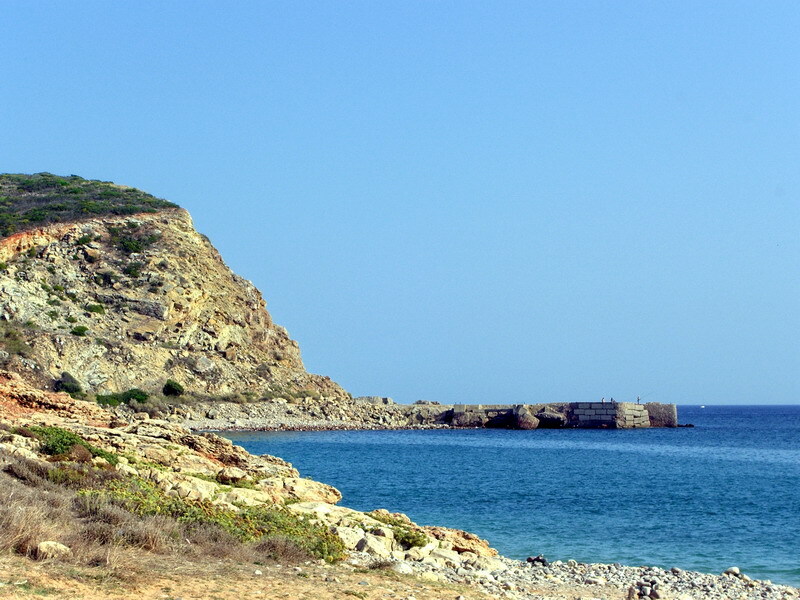 06/2005 Managed to sneak in an extra trip this year (4 days), regrettably as a consequence of a friend unable to make a trip to his own place in Praia da Luz, through ill health. I'm going to water the plants for him. 04/2005 Bars and Restaurants in Alvor. A page which will be continuously under development from now on. 04/2005 'The' annual golf trip to Alvor. My thanks to Chris Fox for the loan of his Canon 10D. The quality is amazing (but optimisation has been applied to the pictures on this web as individual picture sizes were in excess of 3mb). Thanks to John S and Keith have contributed a few pics of the 2005 trip, thanks also to John K who provided the competition results for 2005. Missed out on the flying this year (due to financial constraints), maybe next year.